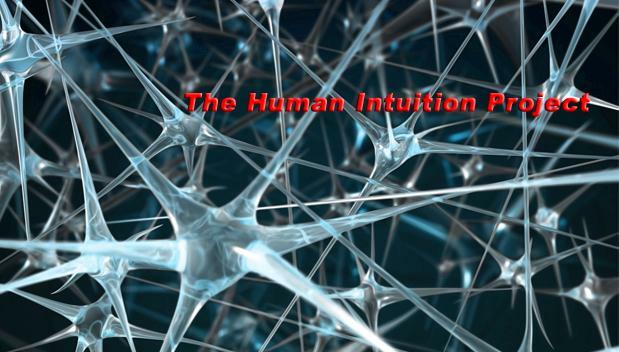 The Human Intuition Project: Here's to the Fruitcakes! Overcoming bias is discussing a very interesting thing for those who (eventually) teach (or lecture or do consulting and so forth). How to overcome bias in the classroom? Imagine I’m a professor who is going to lecture my students on global warming. Further assume that after carefully looking at the evidence I conclude that there is a 60% chance that global warming is true. So if I was the only one to lecture on global warming I would devote 60% of my lecture to evidence in support of the theory and 40% to evidence opposed to it. But now imagine that I know that most of my students will be taught about global warming in other classes. Further assume that all the other professors at my college are 100% certain that global warming is true. These other professors, therefore, will only present evidence in favor of global warming. To cause students to get as unbiased a view as possible of global warming (from my prospective) shouldn’t I devote my entire lecture to criticizing global warming theory? Imagine a professor has some ideology such as libertarianism or Marxism that is unusual at his college. The professor has this view because after looking at the evidence he decides it provides the best explanation of how the world works. The professor thinks that 20% of an unbiased education would consist of learning his ideology. But the professor knows that students won't encounter his ideology outside of his classroom. Doesn't this mean that to help the students get what the professor believes is an unbiased education the professor should devote far more than 20% of his lecture time to discussing his ideology? I think this is a very good question. How is one to decide how much to throw of each subject? Everyone has a bias, and the metaphysical dream of a god's-eye 'view from nowhere', of completely overcoming them, is, of course, for dreamers from fantasyland. It won't be unbiased in a crystalline sense. The best achievable is some balance of sorts. So what to do? Do you go with what you believe and screw the textbooks and others opinions? Or do you take the easy path and surrender to Dr Groncho's classic textbook, "because that's how it's done"? The textbook certainly will be balanced, otherwise publishers wouldn't throw it on the market. On the other hand, precisely because it is meant for an immense audience, it ridiculously throws controversy to a footnote here and a footnote there. So you might have a full chapter mentioning X as fact; another chapter mentioning Y as fact, but there's no way that X and Y can be true simultaneously in this universe. Textbooks discuss one in isolation, then another, then finish up. They never go into the real issue, the controversy, the things that make blood flow. The economics of textbook publishing make them uncontroversial: the more controversy, the more people get annoyed. So it makes economic sense for textbooks to minimize controversy. At the other end of this scale is the PhD thesis, a controversial document made for a dozen or so people. But the PhD thesis, that's the type of document that universities are about, right? Universitas magistrorum et scholarium: Masters and Scholars, right? I can't view universities as textbook-(sp)reading joints. So my view here is just screw them all. Go with the latest thing, the latest data and theory, and bring the controversies up. Don't "chapter 3 now, people". Someone in Overcoming Bias's comments points out that you might need tenure for that; but I don't think so; all you need is guts to face whomever may eventually come with those 'where's the textbook' or other petty administrative remarks. When Doug Hofstadter was at MIT, I remember someone commenting on one of his talks (I think it was about Gödelian self-referential loops and consciousness, but I could be wrong here): "I just came from this most fantastic of talks from Hofstadter. It was crazy and awesome. The funny thing about it is: I don't know exactly what he was talking about, and neither does Hofstadter!" There were no words yet to describe those concepts and relationships, so Hofstadter, like all good philosophers, was talking about something, but we don't know exactly what. In 15 years time a new field with a new name will have been established, but up to that point, people just got flabbergasted when following his reasoning. Another tale from DRH: I recently was attending one of his seminars, about designing ambigrams. There were people from all over the place: philosophy, psychology, art school, computer science and cognitive science. I didn't learn much about designing ambigrams; but it was, for me, a grand experience in comprehending the subcognition of intuitive perception. If you're thinking that for that one you need tenure, perhaps you might want to consider his seminar in Geometry: One class session was completely in the dark, while a theorem was described and people had to visualize the line intersecting the triangle at a specific point and so forth. In another session, students had to find proofs for some theorems, but had to write them as poetry! But then, when you finally think that this guy has really gone fruitcake; he pulls of his thoughts on subcognition and what must have been going on in your mind while you were doing that. Suddenly things fit, in an odd way, and you can see new things you were blind before. And you know that nobody will find those insights from textbooks in cognitive psychology or cogscience, or whatever subjects. In typical Geroch style, there is no textbook, no syllabus, and basically nothing certain except for the fact that there are going to be grades of a sort. “I’ve tried not saying anything about administrative stuff before, but in my experience it seeps in over the first three weeks, and people start asking questions like ‘is this course going to have grades?’” said Geroch, apologising for taking time to explain that there were indeed going to be grades. I’m relieved that I understood all the math that he did today, which was simply to introduce n-charts and manifolds. I very much like the metaphors he used, which I found to be of a more insightful nature than those I’ve been getting in classes taught by pure mathematicians. The only problem is that he tends to get more excited as the explanation proceeds, and starts talking faster and faster, so that it becomes impossible to both take notes and listen. Course started out great. Then we got to rigid bodies. All I got to say: I want someone to rotate on my rigid body. Don’t tell students to buy the text book. It is useless. I don’t even know what it looks like. No syllabus, no textbook, no 'administrative remarks'. I found myself cheering at Dr. Geroch's style, and I just must compliment him for having the guts to be a fruitcake. Both your examples are stars who can get away with teaching any way they like. I should also add that as I intimated in that post, the department isn't completely approving of Geroch's style of teaching. Having recently spoken more about him with my advisor, I was told that they knew he tended to get a bimodal distribution of student evaluations -- people either loved his teaching style (like I do) , or hated it. My opinion is that those who hate it don't know what's good for themselves, but they probably would say the same of me. The parallels between Hofstadter and Geroch are striking. I think it is no coincidence that they are both philosophically inclined (Geroch dabbles in philosophy of physics). There is something about a philosphical approach that gets to the deep structure of a field of knowledge, and people who really grasp that structure tend to teach in a way that tries to convey that deep structure. They tend to disdain traditional methods that emphasise learning how over learning why. Sadly, economic pressures favour systems that churn out people who know how to do certain things rather than people who know why things are one way rather than another.